Glamping opportunities end in November and re-open in the Spring of each year. Please note that our elevation is 6,500 feet and overnight temperatures can be quite cool during late fall and early spring. Please plan accordingly. 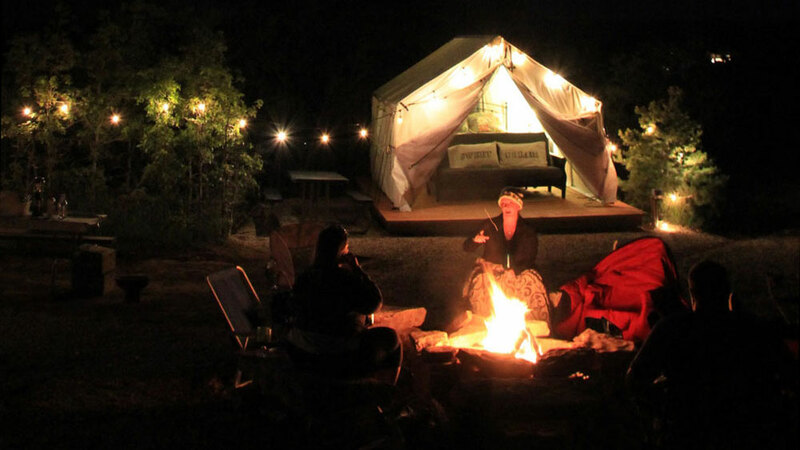 Combine the experience of camping with a little glamor and you’ve got Glamping. 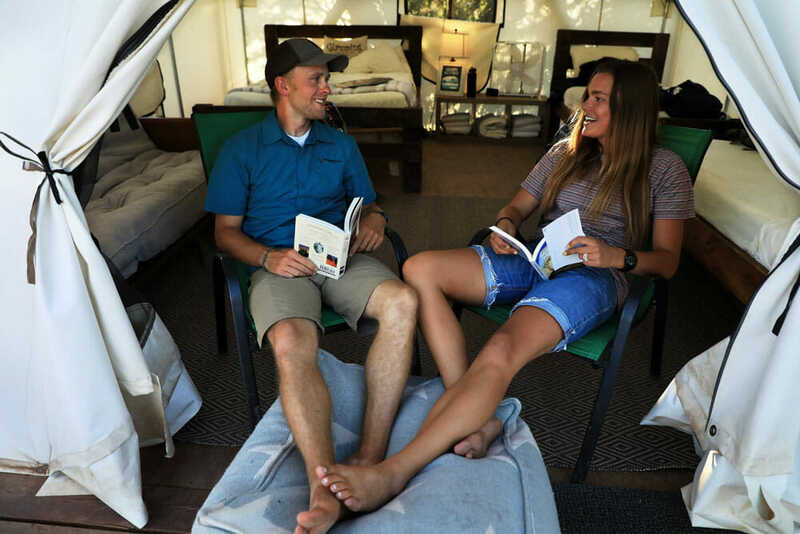 Enjoy stepping outside your glamping tent and gazing up at the beautiful southern Utah stars? Wake in the morning to the smell of a great country breakfast at our on-property restaurant? “Rough it” in style, at Zion Ponderosa Ranch Resort. Rates/Availability: There is a base price for the first two people. Rates vary based on season. Use Reservation Search Tool or Book Now button to view rates and availability. * Breakfast Included (not included during major events such as Ragnar, etc.). MINIMUM TWO NIGHT STAY REQUIRED on all lodging types during peak season, holidays, and Friday stays. Call for one night exceptions and availability – 800-293-5444.